Perfect chairside companion. 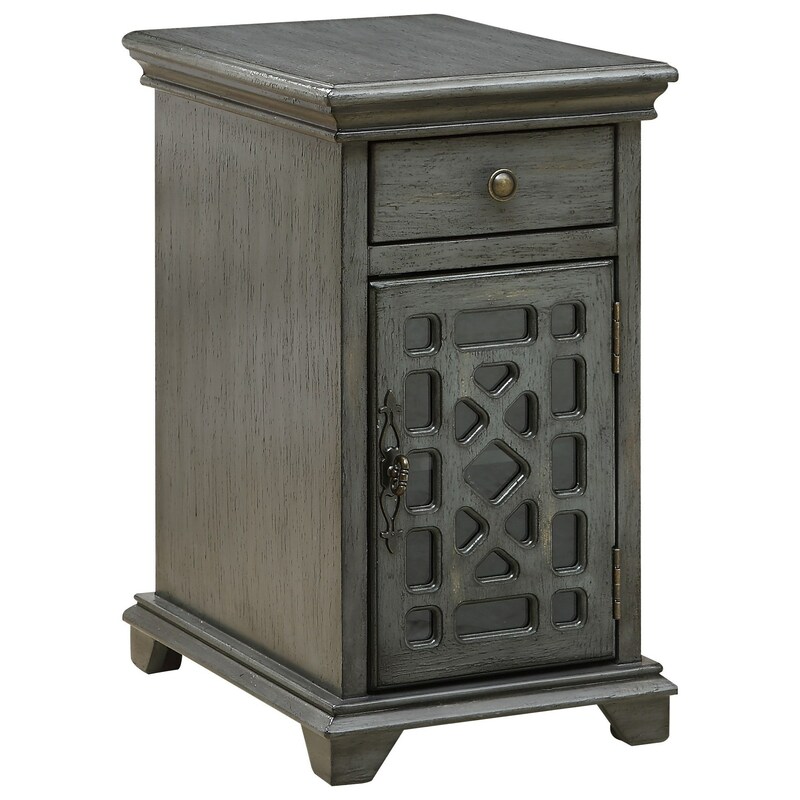 This one door one drawer cabinet has a Joplin Textured Grey finish, decorative fretwork mounted over clear glass. Finished on all sides for use next to a your favorite chair or tuck against a wall next to your sofa. The Coast to Coast Accents One Drawer One Door Chairside Cabinet by Coast to Coast Imports at Zak's Home in the Tri-Cities, Johnson City, Tennessee area. Product availability may vary. Contact us for the most current availability on this product.